Brandon Bird's Brandon Bird-O-Rama! : Election season already? The start of a new campaign cycle means new campaign stickers. 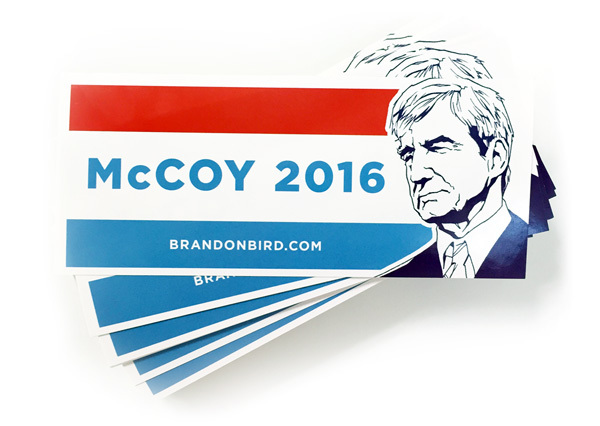 Get a set of five 7” x 3” McCoy 2016 stickers in my online store. “Well Sam Waterston is here helping out.” And then Sam happened to walk by so Brian handed off his phone.